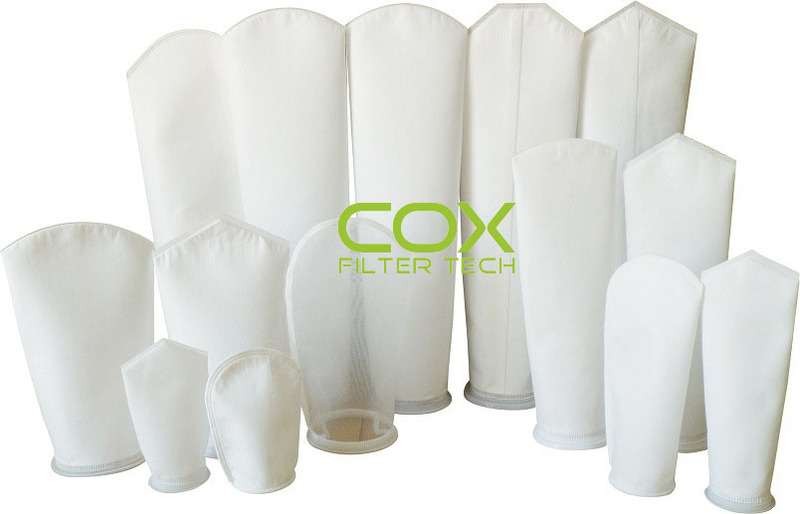 NMO55P2S, China NMO55P2S, Quality NMO55P2S manufacture by COX Filter Cloth. Liquid Bag Filter, Nylon Mesh, 7-3/50″Dia. X 32″L, 55 Micron, Standard Steel Ring – Pkg Qty 50Mono lament Mesh is wovenfrom single-fiber threads. Theopenings are square and uniform.Bags made from this material haveexcellent strength.High flow/low pressure drop media. Surface-retention filtration. Wide chemical compatibility. Temperature ratings to 350°F.